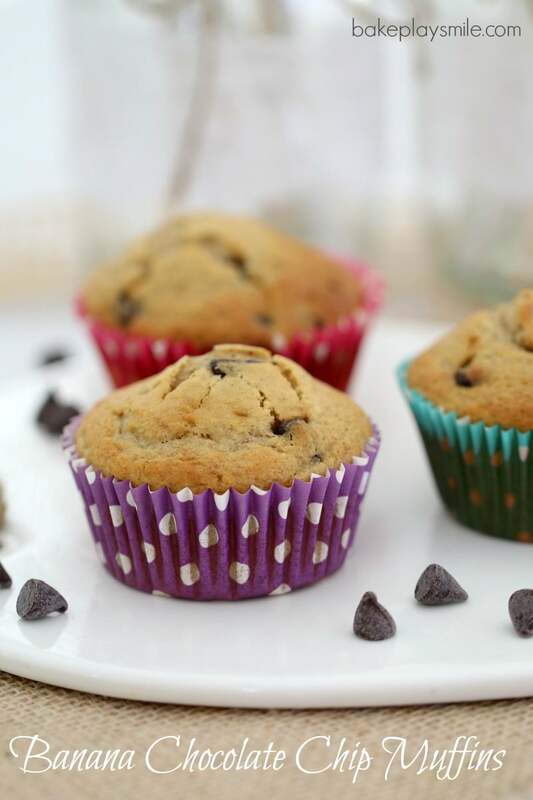 These easy Banana Chocolate Chip Muffins are the perfect lunchbox filler (or mid-morning treat with your cuppa!). Less than 10 minutes preparation time, means that these muffins are not only delicious, but also super quick! 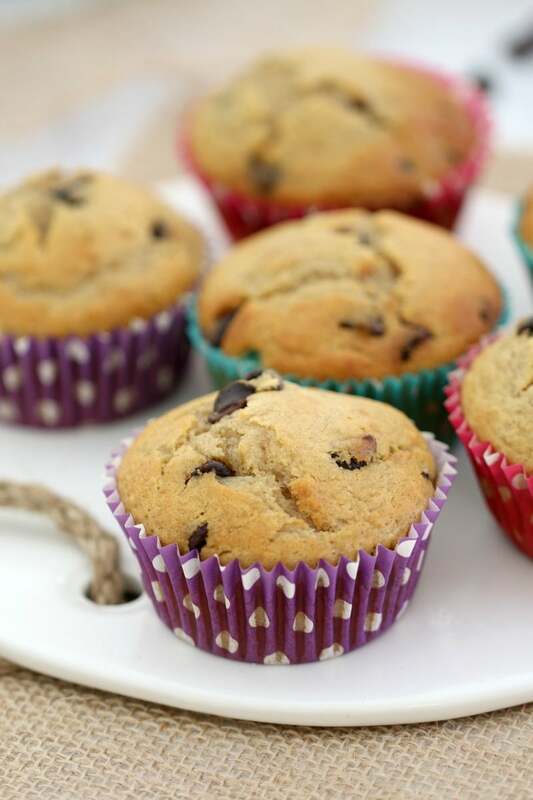 With school back for the year, there is NO better time to whip up a batch of these Banana Chocolate Chip Muffins. Actually, thats a lie. Any time of the year is the perfect time for these muffins. Any time at all. But now works well. 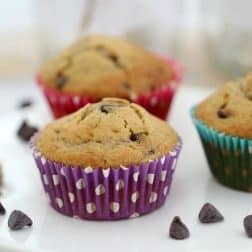 These Chocolate Chip Banana Muffins are based on my fave muffin recipe that I’ve been using for years. 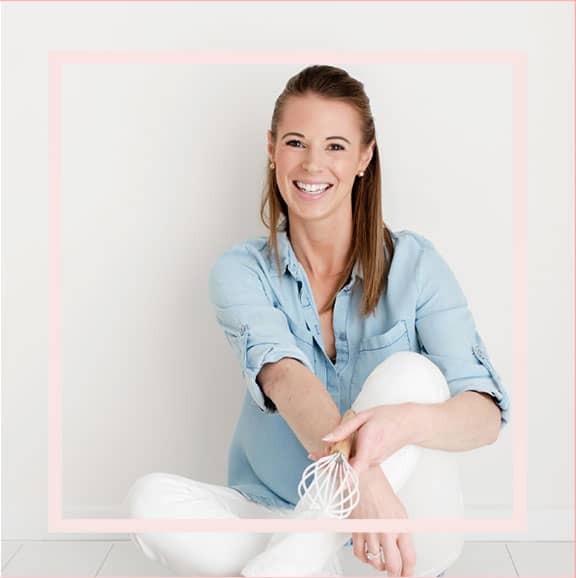 It’s the quickest and easiest muffin recipe… and these are seriously good!! They’re a great way to use up any leftover bananas you have sitting in your fruit bowl. And seriously, the riper the bananas the better. Even if they’re all yucky brown looking, they’ll be perfect! 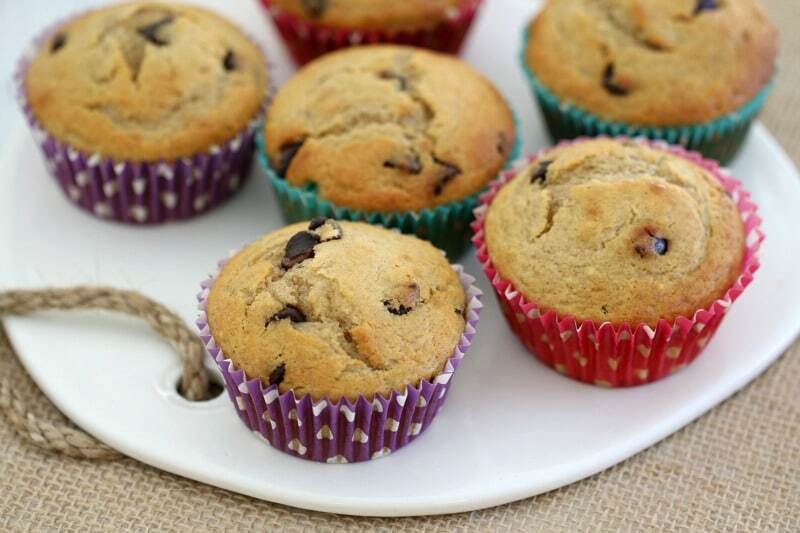 Riper bananas = a deliciously sweet muffin. Mmm…. drool! These are a great snack for popping into your little one’s lunchbox. They’re also a fab little after school snack (if you’ve managed to keep your hands away from them during the day!). Just joking, you totally need to eat at least a few of these yourself. Kids can’t have all the fun, can they?! If you’re after some more banana baking inspiration, you absolutely MUST check out my fave Double Chocolate Banana Loaf. It is honestly the richest, fudgiest, most crazy-amazing thing ever. Yep, I’m definitely a banana girl. Love, love, LOVE them! 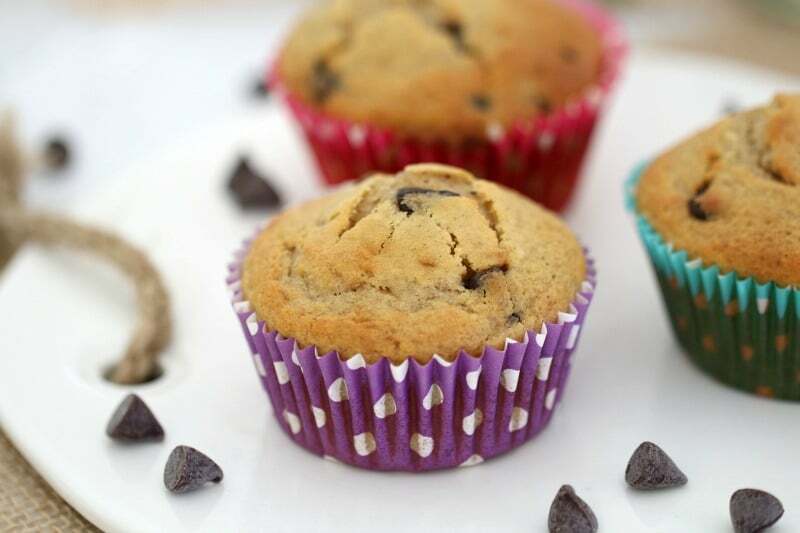 These easy Banana Chocolate Chip Muffins are the perfect lunchbox filler (or mid-morning treat with your cuppa!) - delicious and super quick! Add the chocolate chips and stir until just combined. 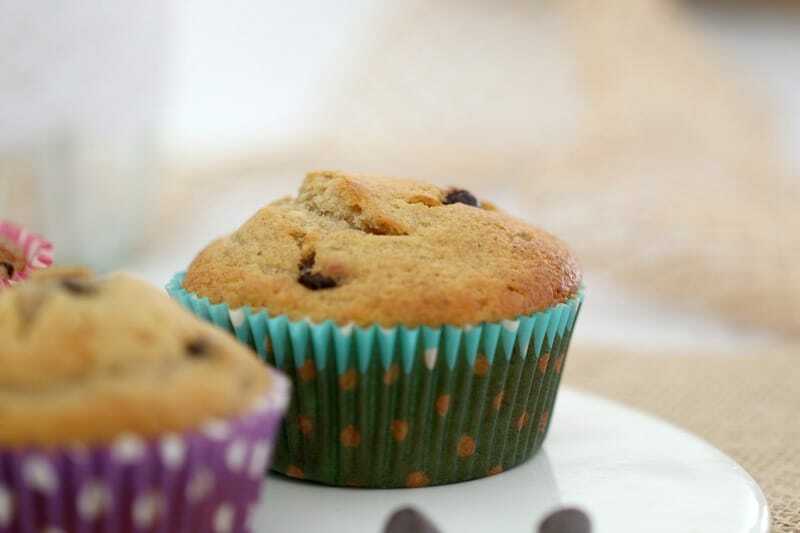 These are one of our favourite muffins too – so yummy! Aren’t they just the easiest! Me too!!! I’ve been making so many batches! very well presented. Thanks for the recipe.